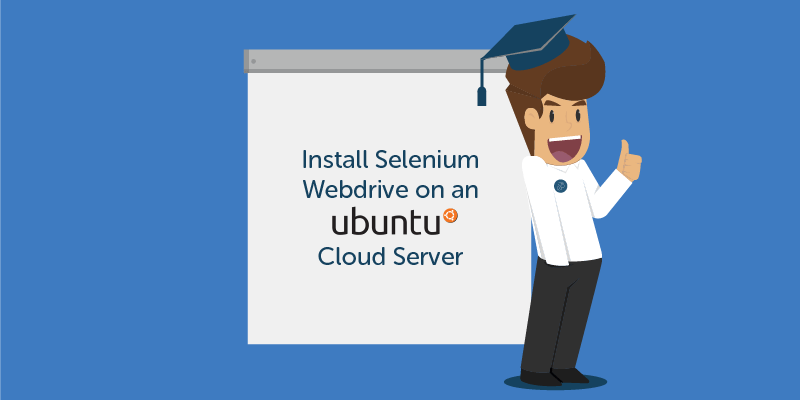 Im Durchschnitt wird dieses Tutorial Install Selenium Webdrive on an Ubuntu Cloud Server mit 5 bewertet, wobei 1.0 die schlechteste und 5.0 die beste Bewertung ist. Es haben insgesamt 383 Besucher eine Bewertung abgegeben. Every web developer knows the problem: Code is interpreted differently in every browser. With Selenium, the code can be tested automatically for different browsers. The advantages are obvious: It is not necessary to install a lot of different browsers and not to repeat the same process over and over again. This can be automated with Selenium. In this tutorial I show you how to create your own selenium server. As a base I take an Ubuntu Server 16.04 LTS. With gridscale, you can create your own Ubuntu server within seconds. This is immediately available online and will be billed minutes – ideal for testing! If you are new to gridscale, please read our [How-To-Gridscale article]. Many of the most common questions are answered directly here. In order for Selenium to simulate the various browsers, their engines and drivers are still needed. As an example, I show you how to install Chrome. The other browsers are installed similarly. With the command “selenium” you can now start the service from anywhere. Setting up selenium is done quite quickly, but only with the web interface and via the console is relatively little to begin with. With a CD tool of your choice, such as Jenkins or Buddy, you can save your selenium server for automation and thus exploit the full potential. Übrigens: kennst du schon unser Tutorial zum Thema Install a LAMP server with PHP 7 and Apache 2.4 on Ubuntu?